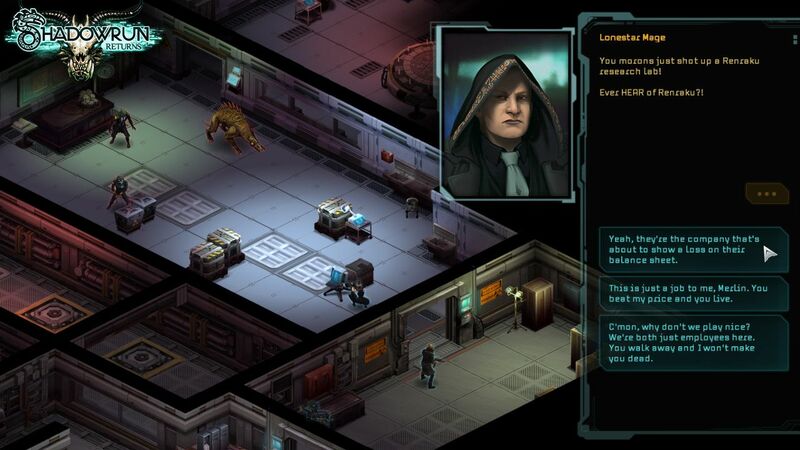 Jordan Weisman: Kickstarter like a "high wire act with no net"
Harebrained Schemes is the studio working on Shadowrun Returns, the Kickstarter-supported remake of the cyberpunk/fantasy RPG that has been around for 25 years in various forms. 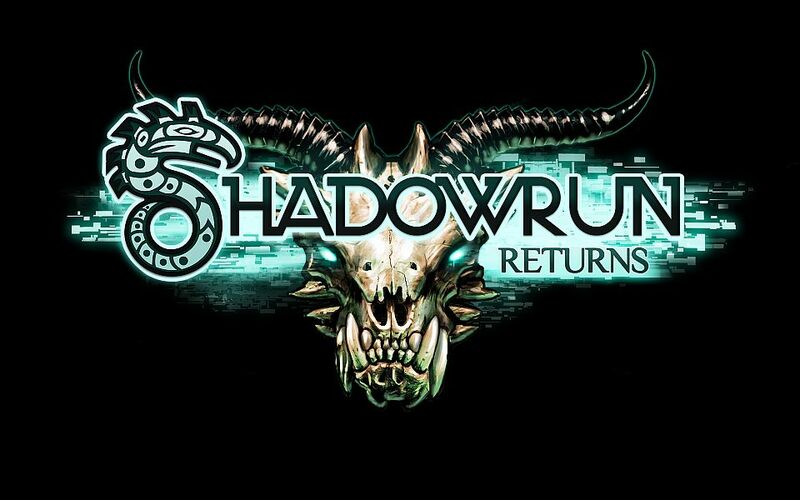 Jordan Weisman, leader of Harebrained Schemes and original creator of Shadowrun, sat down with GamesIndustry International to discuss Shadowrun Returns, Kickstarter, and the state of the game industry and design. Weisman is inspired by the amount of anticipation for the game. "Shadowrun Returns is on lists right next to games that have 30-40 million dollar production budgets," Weisman noted. That's not at all where the project is at, though; Weisman jokingly compares the scale of his development project to the 'food budget' for a major studio project. "When you look at the scope, it's really small budget development. You have to have a project that is more design-focused than technology-focused. We have a lot of content in our game, but not compared to one of these giant epics." Of course, Kickstarter is not the place for massive projects. "The funding platform and the amount of money we raised there does lead you back towards this kind of game," Weisman agreed. "There's an overlap with the audience that's on Kickstarter. It tends to be an older audience, ones you can afford to take a little risk, and who have an emotional attachment. I think the majority of games that have been funded there to large numbers are people or properties that have an emotional tie to the audience in some way. Certainly that's the case with Double Fine, Wasteland, Shadowrun, the Obsidian guys... these are all examples of that." "The democratization of distribution is an interesting double-edged sword"
Shadowrun Returns was funded far in excess of its goal, but that doesn't mean Harebrained Schemes is rolling in money. 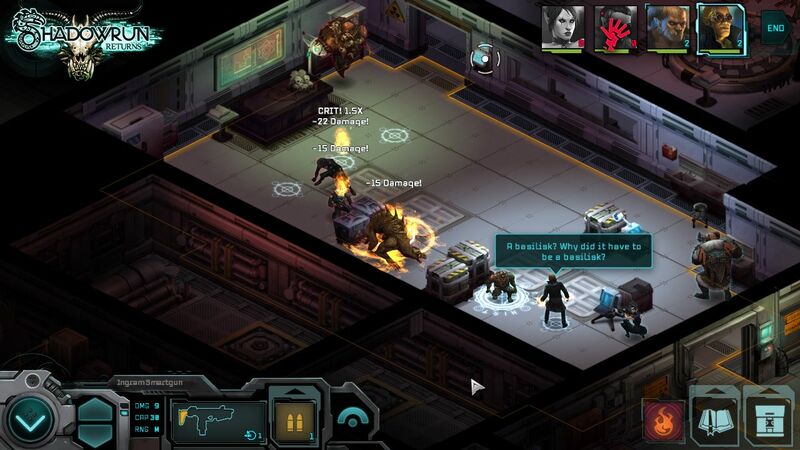 "We have 37,000 backers on Shadowrun Returns," Weisman said. "Our hope is that there's a lot more of them than just those 37,000, because if not then we lose the gamble. We've spent every penny and more that they gave us to make the game; we haven't made any money." It would seem logical that for every person who's put money down for something they're not going to get for over a year, there's got to be at least another person who would cheerfully pay for it when it comes out, and probably several. "That is our hope," Weisman agreed. "We're definitely betting on that. I'm hoping it's not just the nostalgia player, but that there's an underserved market of people who really like depth of story, like depth of tactics. I'm sure they still enjoy a great first-person shooter, but they're looking for this to be part of their gaming mix, and not finding a lot of it in the marketplace. It is historically considered to be too small of a niche over the last decade to be of interest to major publishers." Harebrained Schemes is trying to be smart about the design to deliver a better experience. "Because we have big aspirations and small budgets, we're relying on what I used to call 'The Infinite Resolution Renderer,' which is your imagination," Weisman said. "A lot of what we're having to do is play more in the theater of the mind. We're using text and dialog and sound effects and other classic theater of the mind tools so your immersion in the world is not limited by what's on the screen. That's been one of the fun things to really play with, and it's born out of necessity." "We think it's a pretty fun playground, because it opens up our storytelling way beyond what we're doing," Weisman said. "We don't have the budget to put in an infinite number of animations, and we just decided that rather than limit our storytelling to the animations we could do, we're just going to describe it. Not every action is going to be covered by an animation." Harebrained Schemes is now dealing directly with customers and what they are interested in about a game, rather than trying to satisfy a few people at a publisher. That makes things hugely different for Weisman and his team. "The democratization of distribution is an interesting double-edged sword," Weisman said. "In the past, you had a series of gatekeepers between you and the audience. You had the internal sales team and the buyers at retail centers, both of which acted as tastemakers determining what was going to be seen by the consumers. That was challenging because by nature they tended to look backwards rather than forwards. The general rule was 'What I want is a game that sold well last year, but that looks better.' How different are we now? If you look at the top ten titles of last year, nine of them are sequels - and not the first sequels. They're number three and four, because it's still that kind of channel." "They have very high expectations. That is both really gratifying and enormously scary"
Weisman continued, "The direct to consumer model offers you an opportunity to find an audience for a title, rather than having to go through those tastemakers. The challenge is - and things like Minecraft are the great exception to the rule - it's not an easy thing for the consumers to find you in what is an incredibly noisy marketplace. The democratization means there's 500,000 apps out there, and x thousands of games, and thousands of games come out every year. The consumer is overwhelmed with choice." Either you have to get extraordinarily lucky, or have some reason or set of reasons why consumers are going to find your game. "True innovation obviously helps there," Weisman said. "Minecraft's social collaborative creation space combined with a very simple game mechanic and incredibly deep crafting system - that was an elegant design. The crudeness of the graphics was in inverse proportion to the elegance of the design. The fact that anybody could set up a server, and the release program where he charged more for it as he went along - even with all that, there was still a fair amount of luck. There's a lot of stuff that doesn't get that lucky." The direct distribution to consumers has other problems as well, in Weisman's view. "My concern is that marketplaces are behind the audiences," he noted. "Apple, Google, even Steam don't use the user data to effectively market titles. When you go on Amazon, you're going to be shown a collection of books that sound interesting. That's because they track all the books you buy and they have a recommendation engine that's damn good. None of the other marketplaces are doing that yet. How do I find a strategy player? Unless Google or Apple or Steam promotes it, it's tough to do. I have to believe the efficiency of the marketplace will eventually drive all of these places to use deeper data collection and recommendations. That's going to make the business a lot more viable for independent developers. A fan of strategy games will get shown a new strategy game, and not be shown Angry Birds." The inadequacies of the app markets lead to publishers and developers gaming the system to get a game ranked higher. "One of the things that's driving me crazy on Apple is publishers/developers will change the category of their game so they can pop up to the top," Weisman said. "The categories are meaningless." You feel pressure when you're developing a game for a publisher; the pressure points are different with a Kickstarter, but is the amount of pressure the same? "I think the pressure on Kickstarter is much higher, for me personally," Weisman said. "When I'm working on a title for a publisher, the publisher by nature has a portfolio of games they're working on. They know x percent of that portfolio is never going to ship, x percent is going to lose money and x percent is going to make money, and x percentage is going to be a huge hit and carry the rest of the portfolio. That's the role that a publisher or a movie studio or a venture capitalist does; they play that portfolio." "Come hell or high water, we're shipping this thing, and it will be the best our blood, sweat and tears can make it"
"This is not true of a Kickstarter backer; this is not a portfolio play," Weisman went on. "This is something they passionately care about, and they are risking their money a year or more ahead of time with you to make the game they hope you're going to make. When you're working for a publisher, there's a very small number of people whose expectations you have to meet in order to get to the consumers and hopefully meet their expectations. In this case, we have 37,000 people who likely have different expectations, and I think the only thing we can say universally is they have very high expectations. That is both really gratifying and enormously scary." Weisman is grateful to the audience, though. "Our backers have been enormously supportive, and through the process we've reached out and said 'This xyz feature, we're cutting it; as we were getting into it it's expensive and it wasn't mainline to what we're doing.' The audience has been really supportive of that. That part's been great. It's been an exhilarating process working with the audience; it's total glass house. Very different than the usual development. It's like a high wire act with no net; it keeps us very focused and scared to death. Weisman said, "Unlike working with a publisher, not shipping is not an option." You could not ship, and then not have a reputation. "Exactly. I'm old, I don't have time to build a new reputation. I have to live off the one I have," Weisman said. "Come hell or high water, we're shipping this thing, and it will be the best our blood, sweat and tears can make it." I really like how these guys are approaching their Kickstarter development.